Alfred W. McCoy is the J.R.W. Smail Professor of History at the University of Wisconsin-Madison. 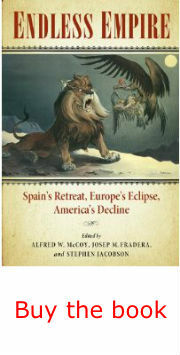 A TomDispatch regular, he is the lead author of Endless Empire: Spain’s Retreat, Europe’s Eclipse, America’s Decline (University of Wisconsin, 2012), which is the source for much of the material in this essay.